WATCH THE OFFICIAL VIDEO STARRING CHARLIE SHEEN & JEAN-CLAUDE VAN DAMME + FIND OUT WHERE TO GET THE SONG WORLDWIDE ON THIS EXCLUSIVE APP PAGE---> http://thehum.world/buy Premiered during the formidable duo’s record breaking Tomorrowland headline set, and one of the standout records of this years Miami Ultra Music Festival, Dimitri Vegas & Like Mike alongside Turkish powerhouse producer Ummet Ozcan have penned an undisputable future classic with ‘The Hum’. The track has been an untitled fan favourite ID for months thanks to it’s roaring presence and ability to unite fans in their packs. 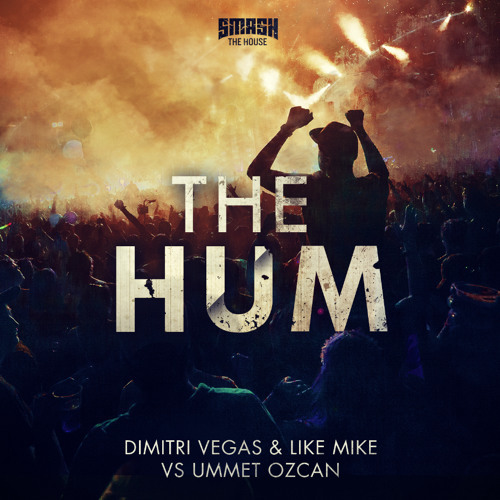 The Belgian brothers have finally decided to release this clubland scaling hit under the title ‘The Hum’ following its explosive inclusion in their big surprise 3 Are Legend appearance, alongside their musical brother Steve Aoki, at Ultra Music Festival in Miami. The track had the Miami crowd primed and ready setting the tone for one of the most exhilarating sets of the entire weekend. Offering up undeniable party chaos, the tracks popularity has swarmed to become something of a breakout moment at recent Dimitri Vegas & Like Mike shows with hundreds of thousands of fans humming along in unison; it created one of the defining moments of the Tomorrowland tenth anniversary celebrations. Signifying bold connotations of instilling rhythm and psyching up the audience the collective trio usher in fresh ideas for a new year as ‘The Hum’ erupts with headline-ready explosions. Raise you mouths when the bass be droppin! Please Feel free to checkout my page as well.